Turn the whole world into a keyboard! What's MaKey MaKey? 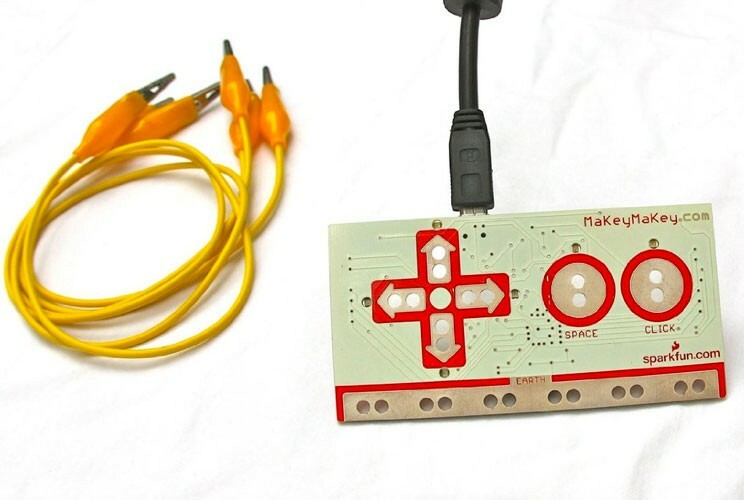 Make + Key = MaKey MaKey. 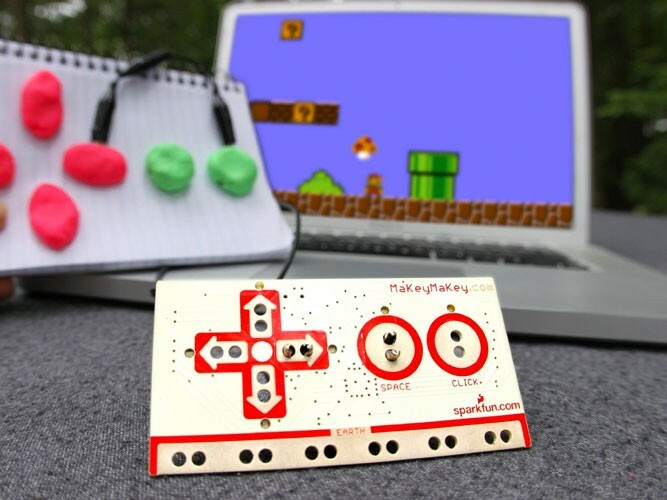 MaKey MaKey is an invention kit for the 21st century. Use your wildest imagination and turn everyday objects into touch pads and combine them with the internet. It's a simple invention kit for beginners or experts doing art, engineering, and everything in between. First, load up a computer program or any webpage. Let's say you load up a piano. 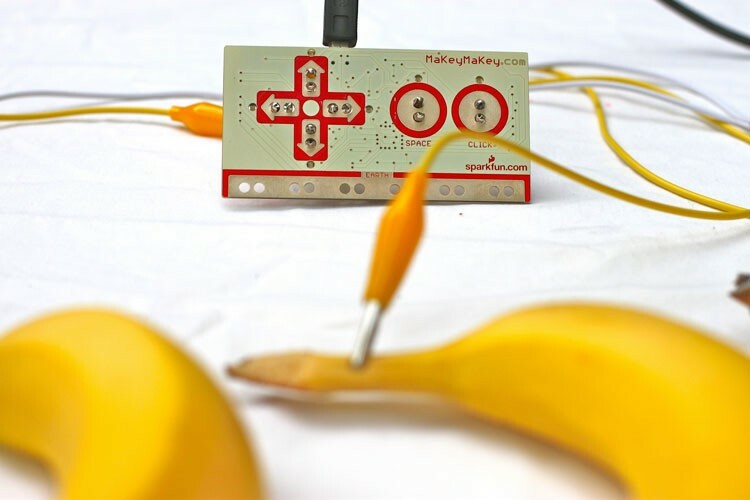 Then, instead of using the computer keyboard buttons to play the piano, you can hook up the MaKey MaKey to something fun, like bananas, and the bananas become your piano keys! Let's say you Google for an online Pac man game and draw a joystick with a pencil. You can play Pac man by touching the drawing. Or you could load up Facebook or Gmail and send a message on a custom-made alphabet-soup keyboard. The computer just thinks MaKey MaKey is a regular keyboard or mouse, so it works with all programs and web pages. For more empowering science and engineering toys for Mighty Girls, visit our Science & Math section.